13 And king Solomon gave unto the queen of Sheba all her desire, whatsoever she asked, beside that which Solomon gave her of his royal bounty. So she turned and went to her own country, she and her servants. 1 And when the queen of Sheba heard of the fame of Solomon, she came to prove Solomon with hard questions at Jerusalem, with a very great company, and camels that bare spices, and gold in abundance, and precious stones: and when she was come to Solomon, she communed with him of all that was in her heart. The Queen of Sheba, having heard about the fame of Solomon, pays him a surprise visit. While there are differing theories regarding where her homeland was, there is no dispute that she traveled a great distance to Jerusalem. According to the Expositor's Bible Commentary, "Sheba was in southwest Arabia, present-day Yemen." Whoa...that's 1,500 miles from Jerusalem! She takes the tour and asks Solomon some very difficult questions - all of which he was more than capable of answering because of the extra dose of wisdom (see notes on I Kings 3:5-15; II Chronicles 1:7-17) given him by God. I Kings 10:1 says, "she came to prove him with hard questions." The Hebrew word for "hard questions" (khee-daw´) is interesting. It is used seventeen times. The KJV translates it nine times as riddle, five times as dark sentences, speeches, or sayings, twice as hard questions, and once as proverb. What an interesting conversation between a King and a Queen. At the conclusion of their meetings she admitted, "Yup, you're wise all right!" The whole trip just left her breathless - that said according to II Chronicles 9: 4, "there was no more spirit in her." The Hebrew word for spirit is "ruwach," meaning breath - same as the New Testament Greek word for "spirit" is "pneuma," which also means "breath" or "wind." Add the word "holy" as a modifier to either of these words and you get the supernatural power of God (holy spirit). But here, with the Queen of Sheba, this verse indicates that she was just left breathless. And then she went back home to tell her buddy Kings and Queens about her findings. There is considerable extra-biblical speculation regarding this Queen of Sheba. Islamic tradition claims that she had a son by Solomon who became a king. Ethiopian tradition claims her as an Ethiopian queen who married and bore a child from Solomon. Further development of that position attributes the adoption of Judaism in Ethiopia to the Queen's conversion after her visit with Solomon. In 1999, a British team from Bournemouth University, working with archaeologist Dr. Patrick Darling became convinced that they had discovered her burial place in Nigeria, but Dr. Darling admits that his is just a theory - one of many. 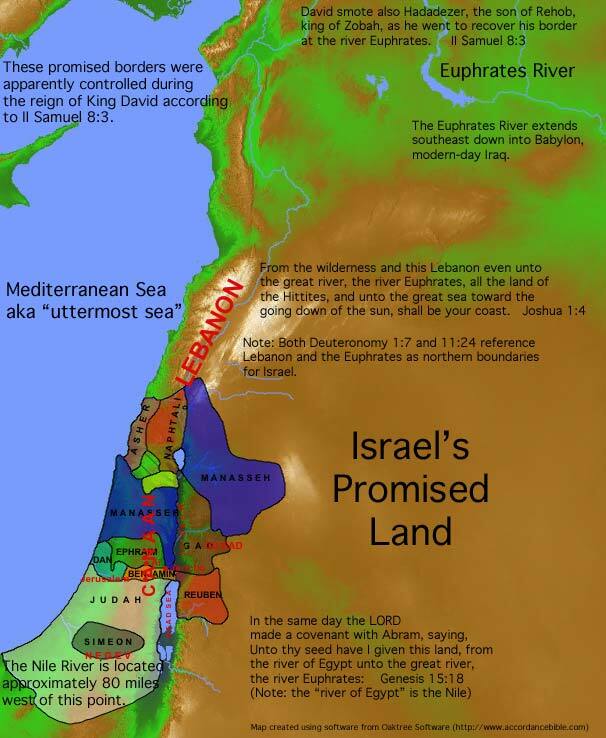 Solomon's kingdom stretched to the boundaries promised to Abraham back in Genesis 15 (see notes). To see a map of this territory, click here. Solomon was rich - really, really rich. How rich was he? He was soooo rich, he made 200 large shields out of gold worth about $100,000 (2006 standards) each. He made another 300 shields of gold (smaller) worth about $24,000 each. He put these on display. He was soooo rich, his throne was made out of ivory and gold. He was soooo rich, silver plates were like our disposable plastic plates (I Kings 10:21). He was soooo rich, he collected peacocks (now that's rich). Cedar, horses, chariots - he had it all. And his wisdom was world renown - everybody came to ask him questions...and they brought him gifts when they came. Here's what is said of Solomon in II Chronicles 9:22, "And king Solomon passed all the kings of the earth in riches and wisdom." That's right; Solomon was the richest man in the world. After talking about all of King Solomon's successes in chapter 10, chapter 11 begins with "But..." Yes, I'm afraid that, with everything else Solomon collected in abundance, wives were also in the list. If you had 700 wives and 300 concubines (second-class wives), would you even remember all of their names? If a child calls you "father," wouldn't you just assume it was so? His collection of honeymoon photo albums must have been housed in a large museum. But, here's the big problem; he was not particular about their religious affiliations. He married women who worshipped gods forbidden to Israelites, and they didn't convert to Judaism; they stayed with their heathen gods and worshipped them. Remember the people back in Leviticus who sacrificed their own children to Molech (Leviticus 18:21, see notes; Leviticus 20:2-3, see notes)? Well, Solomon even built an altar to this god for one or more of his wives. He built altars to other pagan gods as well - just 'cause he was in love. Verse 6 sums it up when it says, "And Solomon did evil in the sight of the LORD, and went not fully after the LORD, as did David his father." We see a condemnation by Nehemiah of Solomon's marrying practices in Nehemiah 13:26 (see notes), "Did not Solomon king of Israel sin by these things? yet among many nations was there no king like him, who was beloved of his God, and God made him king over all Israel: nevertheless even him did outlandish women cause to sin." The Hebrew word for "outlandish" in that verse means "pagan." Interestingly enough, we don't have a record of Solomon ever marrying a Hebrew woman. However, out of 1,000 wives and concubines, surely he did at some point. Although, his successor to the throne was Rehoboam; his mother was an Ammonite...from the forbidden list of candidates. As a matter of fact, Solomon married Rehoboam's mother while King David was still on the throne of Israel. Rehoboam was 41 when he began to reign, according to I Kings 14:21 (see notes). Yet, we are told in II Chronicles 9:30 (see below) that Solomon reigned over Israel for 40 years. So, Solomon's marriage violations began before he actually became King of Israel. Let's not sugar coat this aspect of Solomon's life. His marrying practices did, in part, include a great many diplomatic marriages. In other words, kings often married the daughters of foreign kings in order to form a treaty with them and maintain diplomatic relations with those countries. However, there is no question that Solomon violated Deuteronomy 17:17 (see notes), a passage that specifically directs that future kings of Israel MUST NOT multiply wives. Moreover, God specifically directed Israel not to intermarry with those pagan cultures surrounding them in Canaan back in Deuteronomy 7:1-7 (see notes). The reason: So as to not bring false religions into Israel. And...as it turns out, that's exactly the result of Solomon's marrying practices. As we have read through the Old Testament, one thing should be abundantly clear - God hates pagan worship. This case is no different. Notice verse 9 "And the LORD was angry with Solomon, because his heart was turned from the LORD God of Israel, which had appeared unto him twice, " Those two appearance were I Kings 3:5 (see notes) and I Kings 9:2 (see notes). Because of this tolerance for pagan worship on Solomon's part, God raised up enemies against Solomon, one being Hadad the Edomite (verse 14). Here's a decree from God to Solomon in verse 11, "Wherefore the LORD said unto Solomon, Forasmuch as this is done of thee, and thou hast not kept my covenant and my statutes, which I have commanded thee, I will surely rend the kingdom from thee, and will give it to thy servant." That's right, God even speaks to Solomon and tells him that after his reign, his kingdom will be split - and all because of Solomon's tolerance for paganism. That split of the Kingdom of Israel into two takes place in I Kings 12 (see notes). Hadad's story is given in verses 14-22. Joab's execution of the Edomite men must have taken place during the period mentioned in II Samuel 8:14 (see notes). We aren't specifically told of any battles between this Hadad and Israel, but the mention of it in this passage, and specifically verse 25, would indicate that there were some. Then there's the specific mention in verse 23 of "Rezon the son of Eliadah, which fled from his lord Hadadezer king of Zobah." This enemy rose up against Solomon as a result of David's battles in II Samuel 8:14 (see notes) as well. Jeroboam had a nice job with Solomon's government, but he was God's instrument for the punishment of Solomon. When Solomon died, his son Rehoboam took over the family business (business of being king, that is). However, God had told Jeroboam through the prophet Ahijah (verse 29) that he would get 10 of the 11 tribes. You thought there were 12 tribes, didn't you? Remember Simeon? They had no distinct territory of their own, but rather received certain cities within the territory of Judah. Simeon kind of blended in with Judah after a few centuries, basically leaving 11 tribes, though often still referred to as 12. Anyway, Solomon tried to have him killed after this prophecy, but Jeroboam escaped to Egypt. After Solomon's death, Rehoboam becomes king over the Southern Kingdom (Judah) and Jeroboam becomes king over the Northern Kingdom - Israel (I Kings 12, see notes). I call them the "Boam boys." They weren't related; it just makes it easier for me to remember them. Jeroboam inherits from God his kingdom with some conditional promises attached to the deal in verse 38, "And it shall be, if thou wilt hearken unto all that I command thee, and wilt walk in my ways, and do that is right in my sight, to keep my statutes and my commandments, as David my servant did; that I will be with thee, and build thee a sure house, as I built for David, and will give Israel unto thee." For the record, Jeroboam did not fulfill any of these conditions - not even from the very beginning of his reign. As a result, this same prophet (Ahijah) two decades later decrees that Jeroboam's dynasty will come to an end in I Kings 14 (see notes). As a matter of fact, neither did any of Jeroboam's successors serve the God of Israel. All the kings of Israel (Northern Kingdom) were evil and refused to seek after God. He's immortal in our minds, but Solomon died after a 40-year rule. He accomplished much, and he left it all to his son Rehoboam. Rehoboam's mother was an Ammonite according to I Kings 14:21 (see notes). The question is: can Rehoboam hang on to it? Well...no he can't - all because his father, Solomon, had sinned before God.